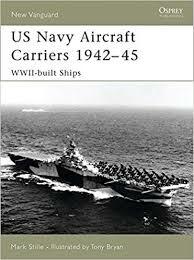 Naval Aircraft Carrier Research Papers deals with the history, and future of these military vessels. Naval Aircraft Carrier research paper due and don’t know how to start it? How about like this? Naval aircraft carriers have been an important part of the defense systems of the world's major powers for almost a century. They contributed to many decisive battles in several wars. This paper will examine the history of naval aircraft carriers and discuss the future of these amazing vessels. Although naval aircraft carriers have made many valuable contributions to the defense and war efforts of the twentieth century, their size, expense and new advances may make them obsolete in the future. Hutchinson's dictionary defines aircraft carriers as oceangoing vessels with a broad, flat-topped deck for launching and landing military aircraft. In addition, these vessels serve as a floating military base for warplanes that are too far from a ground base. Therefore, these carriers are used for refueling, repairing, reconnaissance, escorting, and attack and defense assignments. The aircraft on carriers take off and land on the flight deck, which is often fitted with barriers and restraining devices to halt the landing aircraft. Modern aircraft carriers are essentially mobile airfields that are used by the major powers, such as the naval fleets of the United States, Britain and the former USSR. Aircraft carriers are typically equipped with fixed-wing aircraft, helicopters, missile launchers, and anti-aircraft guns. Examples of aircraft carriers are the USSR's 1979 Komsomolsk, which weighs 40,000 metric tons with 15 fixed-wing aircraft and 20 helicopters, the United States' 1979 Eisenhower, weighing 81,600 metric tons with 95 aircraft, and the British 1980 Invincible, which weighs 19,500 metric tons. The first recorded on-deck landing of plane was on November 14, 1910 by Eugene Ely on the USS Birmingham. Ely performed the first takeoff and landing January 18, 1911 aboard the USS Pennsylvania, using the landing hook and transverse arrester-wire. The first aircraft carrier was the British HMS Hermes, completed in 1913. The HMS Hermes was also the first carrier to be lost due to enemy action in October 1914. By the end of World War I, Britain had used 16 carriers, which carried approximately 100 aircraft, in the North Sea, Mediterranean, Red Sea, and in Russian waters. Most of these vessels were actually seaplane carriers, which had to stop, lower their aircraft into the water for takeoff, and then stop to retrieve them. After this period, carriers used powder charges for taking off directly from the deck, a method which remained in use until the British-designed steam catapult began to be used in 1934 . The first U.S. aircraft carrier, USS Langley, was commissioned 1922. However, Japanese built the first aircraft carrier that was designed exclusively for this purpose, the Hosho, in 1925. The first French aircraft carrier, Béarn, was placed in service 1927. Germany launched its only aircraft carrier in 1938, however it was never completed. Paper Masters writes custom research papers on Naval Aircraft Carrier and deals with the history, and future of these military vessels.